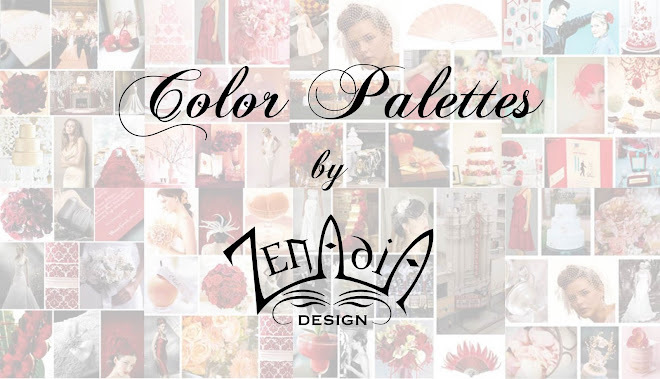 This color palette is for one of our readers. 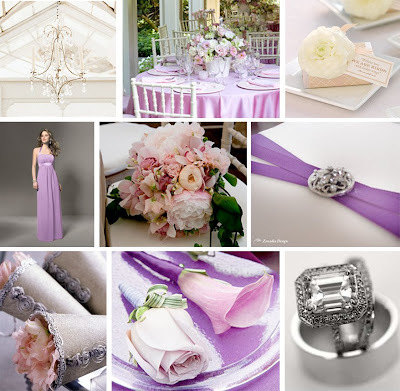 She is planning a Christmas time wedding and wanted to use lilac, light pink and silver as her colors. Below is the board I created for her with a few reception decor ideas for her celebration. 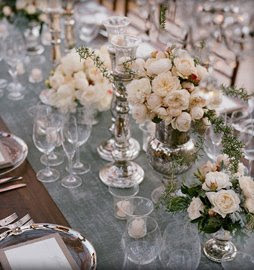 - A fun way to incorporate the silver into your reception decor would be to use vintage silver pitchers or other silver wares. You could put flowers in them, or just group them together. 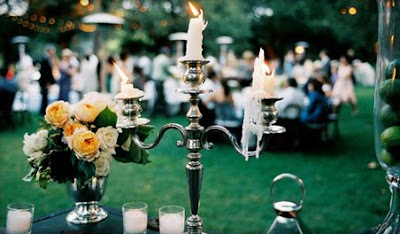 - I've always loved elegant candelabras. 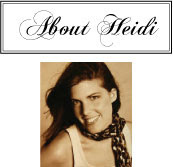 These could go on dinner tables, or around the room for a romantic candle light effect. 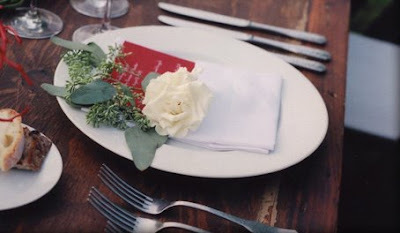 - Placing a flower, or small arrangement at each place setting helps to decorate the table and make each setting a little special.